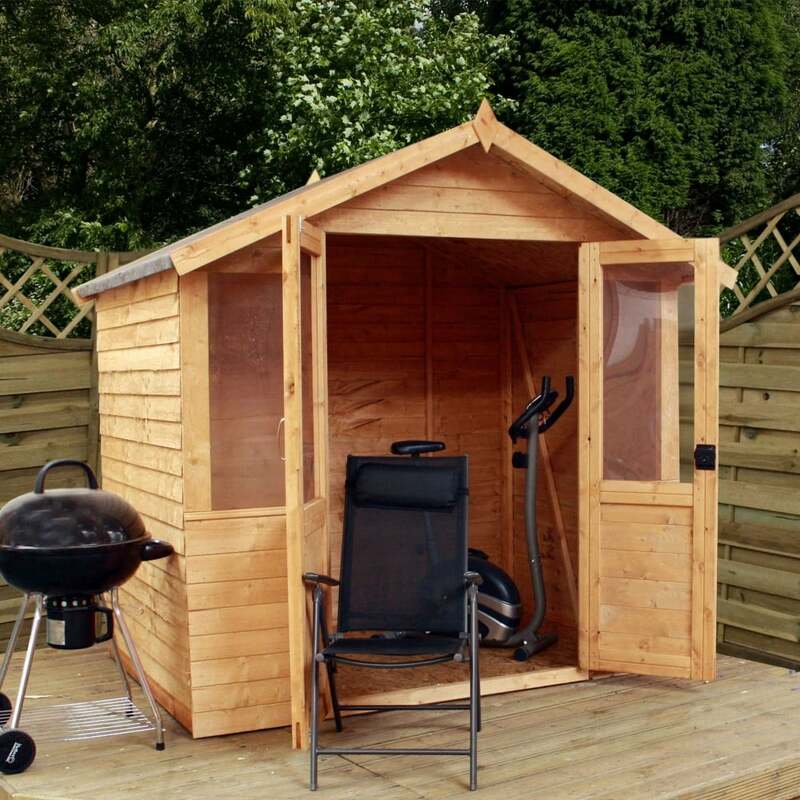 Mercia 7 x 5 Traditional Overlap Summerhouse: The 7 x 5 traditional summerhouse is a great way to relax in your garden, enjoying the views from this attractive wooden building, perfect for those with limited space and at an affordable price. The Mercia summerhouse is constructed using 7mm overlap timber, 10mm solid sheet floor and 8mm solid sheet roof. The overlap summerhouse floor also comes with high quality floor joists giving the building a sturdy feel and allowing a greater load capacity. The Mercia garden summerhouse also features double doors which are half glazed and two fixed styrene glazed windows to allow ample light to shine through. The 7 x 5 summerhouse is delivered flat packed for easy self-assembly.